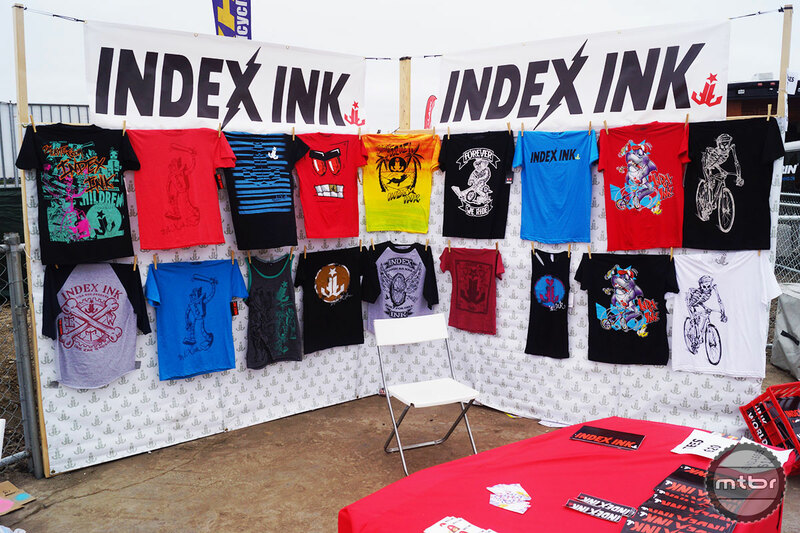 “Crappy t-shirts” and “bedazzled man jeans” are the first things that comes to mind when we hear the phrase “lifestyle brand.” And while there were plenty of shirts from the Planet Hokey at Sea Otter, you couldn’t find any in the Index Ink booth. Though the Laguna Beach, Calif.-based company does indeed sell t-shirts, and is self-described as “The Original Creative Lifestyle Brand,” proprietor and founder Chad Carothers manages to sidestep the clichés by combining art and creativity with the cultures of mountain biking, BMX and skateboarding in a way that feels real. 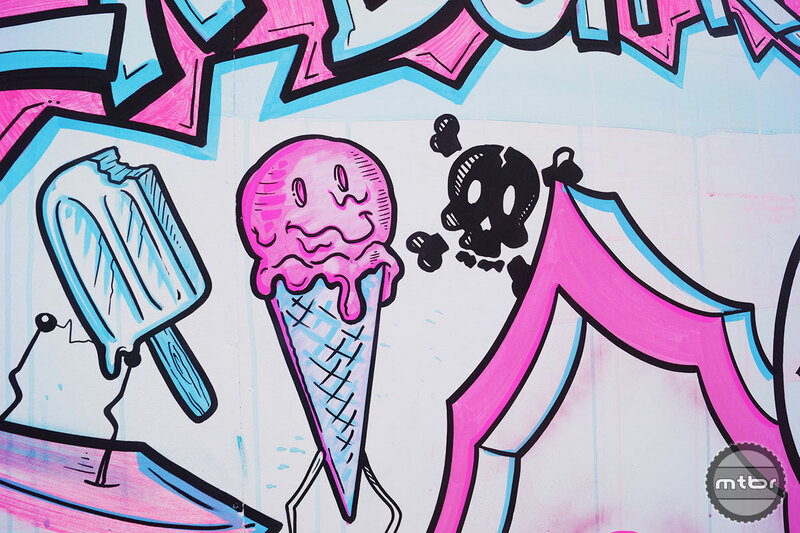 As big brands bent over backwards to “activate” with elaborate stunts and larger-than-life inflatables in the main expo area, Carothers quietly did his thing out in Sea Otter’s No Man’s Land away from the action. His “thing” is painting and drawing, and for four days Carothers did so on a grand scale, gradually creating a mural on-site for all to see. 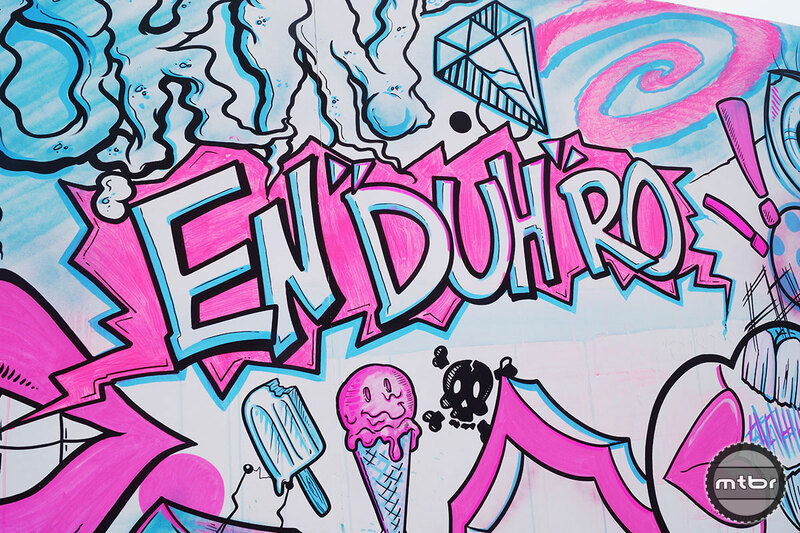 The phrase “En’Duh’Ro” stands out as perhaps a critique of the term amongst imagery repeated in the company’s apparel—robots, skeletons and dancing ice cream cones blended with traditional tattoo-style lettering, flowers and other symbols. A display of t-shirts for sale flanked the artwork along with stickers on a modest display unit. But the real attraction was watching Carothers’ progress from day-to-day, hour-to-hour over the course of the weekend—performance art in progress, ever evolving and changing. 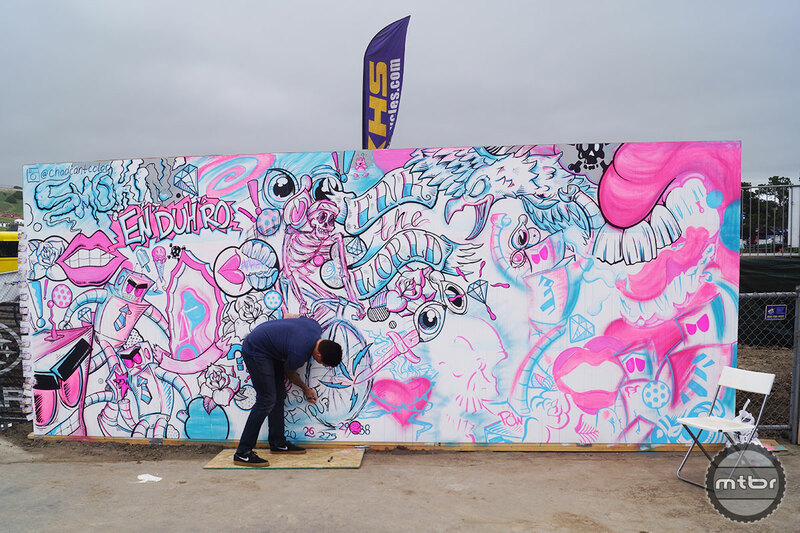 Now that Sea Otter is over, Carothers is shipping the mural to Denver, where it will be installed permanently in the Evolve Action Sports Park. 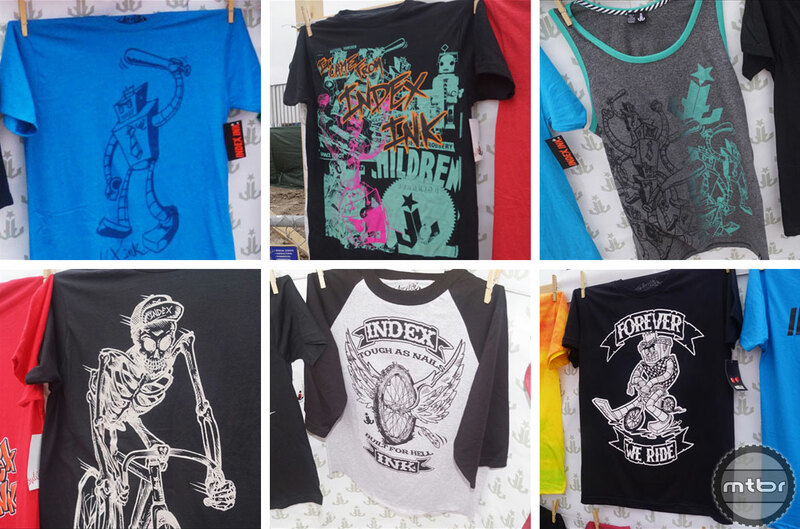 You may like the artwork, you may not, but at the end of the day we’d rather see kids buying shirts from these guys than from the mall. 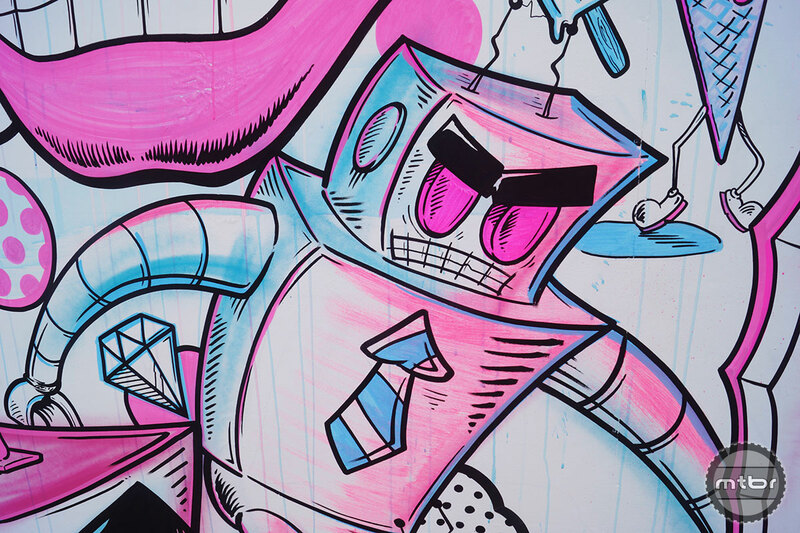 If you’re so inclined, dial up https://shop.inktheworld.com/ on the interwebs for some Index Ink action. 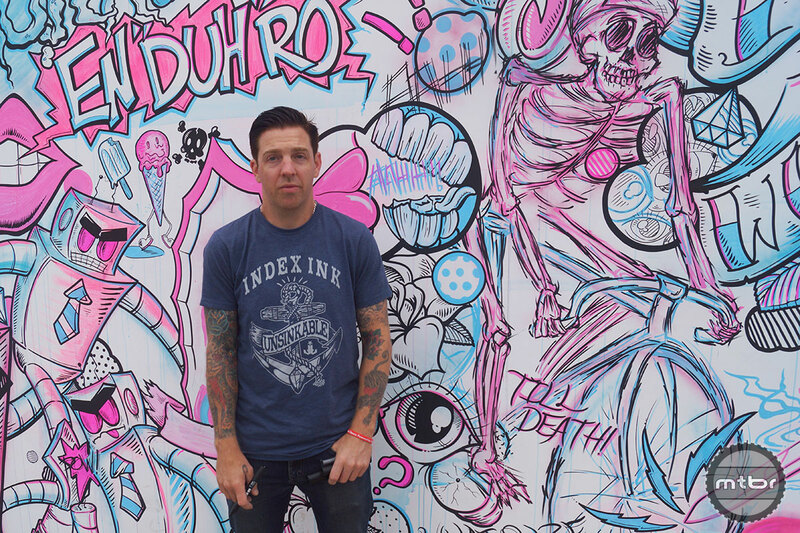 http://www.vimeo.com/71814896 Video: Index Ink sponsors a handful of riders including Adam Hauck who lights it up in this edit from the company.